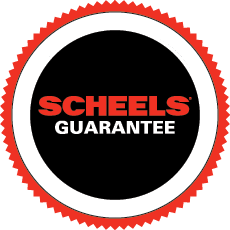 SCHEELS originally expanded it’s operations to Minot, ND in 1974. It was not until 1980 that SCHEELS moved to the Dakota Square Mall, where it is still located today. In April 2008, the Minot SCHEELS completed its latest expansion of the mall space. This location in SCHEELS’ 25-store organization boasts 60,000 square feet of retail shopping experience and showcases a large selection of sports, sportswear, and footwear under one roof. Special attractions include a Laser Shot hunting simulator, and a 5 sport simulator with sports including basketball, soccer, hockey, baseball and football, where customers can test their skills. Starbucks® coffee is served fresh at the SCHEELS Coffee Bar. A “try before you buy” archery range is located right in the archery shop, where you will also find our expert bow technicians who take care of your bow tuning needs. Minot SCHEELS features boutiques ranging from technical running gear and the latest fashion sportswear to spectacular hunting and fishing shops. The athletic shoe, hiking boot, and casual footwear selection is largest in the region with everything for toddlers to serious climbers, and selections ranging from beach sandals to fashion boots for women. Outdoor enthusiasts can experience world-class shops including golf, bike, ski, paddle, and sport and game shops. The gun and hunting shops have the largest retail selection of guns in the region, ranging from everyday shooters, to collectible guns. Starbucks® coffee is served fresh at the SCHEELS Coffee Bar.